The hamlet of Crofton in Wiltshire is a well known railway location and somewhere I have intended to visit for several years. Until now however there have been other 'priorities' in this part of the world- namely photographing the Great Western main line before electrification ruined many classic photo spots forever. 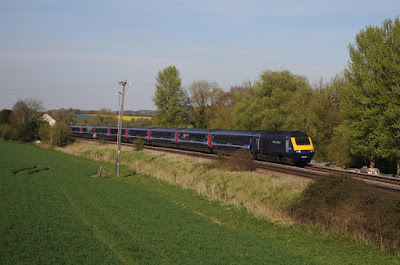 43015 leads a westbound HST approaching Crofton. 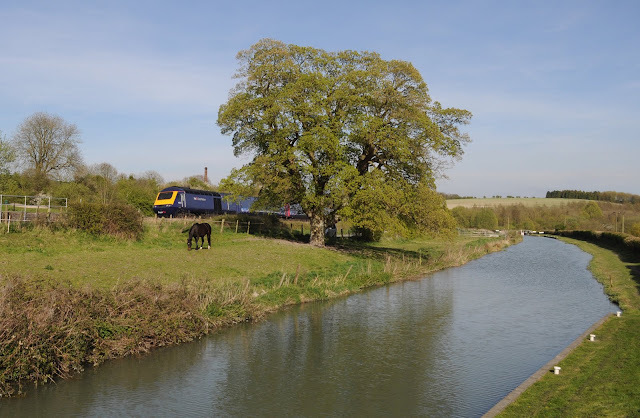 With hideous masts and catenerary now plaguing the main line it was time to head a little further south to this delightful spot where the Berks & Hants line between Newbury and Westbury parallels the Kennet & Avon canal. 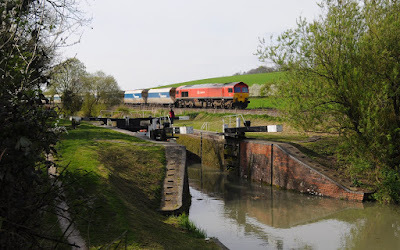 59206 leads a loaded stone train as a barge negotiates lock 57. At Crofton there are a series of locks which are overlooked by the railway allowing a number of pleasing images of the railway. Further interest is added by the presence of Crofton pumping station, housing one of the countries oldest working beam engines. These engines once pumped water to the top level of the locks to keep the Kennet & Avon canal flowing. Today this job is carried out by an electrical pump, however the steam powered beam engines are restored to working condition and several times a year are fired up to perform the task they were originally built for. Not only is the pumping station fascinating (even when cold) but also provides a cafe and facilities so you can grab an ice cream and a cake between the trains! Traffic mainstay of traffic on the Berks & Hants is GWR HST's however there are also a good number of stone trains the vast majority of which work to and from the Mendip quarries at Merehead and Whatley in the hands of Class 59 and 66 locos. 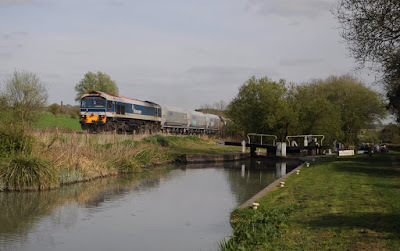 Crofton was the perfect location to explore on a warm and sunny spring day and I will certainly be back. 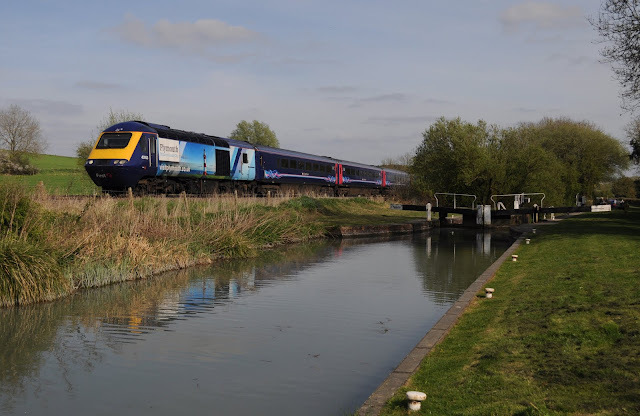 A Great Western HST speeds towards London- the chimney of the Crofton Pumping Station can be seen above the power car.